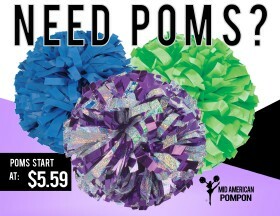 Mid American Pompon is a one stop shop for all of your team needs. From briefs, cougars leotards, bodysuits, jazz pants & poms we have it all! 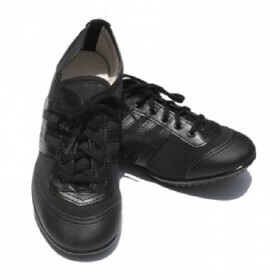 We can even assist in your search for the perfect costumes for High Kick or other events. We carry several lines of each item to ensure your team receives the best possible option. Ordering all of your team needs in bulk through Mid American Pompon will prove to be less expensive and easier than any other option. Contact us by e-mail or (248) 477-5248 and we can provide your team with everything they need for camp, performances, and competitions. Have you been struggling to find the perfect color pom to match your team? 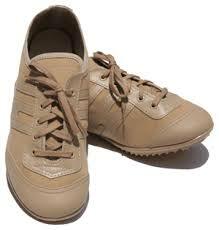 We offer Cougars in black, white, and tan starting at $39.50 a pair. Not sure what sizes you need? Come in and pick up a full size run for your team to try on.